How can people protect their cities from flooding? Several American and Asian cities have been badly damaged by floods in the past few years, and many predict much more flooding in the future in coastal areas worldwide. Here are a few innovative, mostly natural solutions. They won’t prevent all flooding, but they can reduce its impact and provide time for people to make bigger changes when necessary. The Dallas (Texas) News suggests other ideas to prevent future flooding. This short editorial emphasizes that it’s essential to take action. It discusses building roads, patios, and other surfaces of permeable materials that can let water pass through into the ground instead of running off quickly and adding to flooding. Not only is Dallas experimenting with this, but many Chinese (and some German) cities are also using these techniques. If you would like even more ideas, this more difficult article discusses several new ways Dutch engineers are using natural processes to reinforce the dikes and other structures that protect their low-lying country from the ocean. To absorb is to take in liquid (or heat) the way a sponge fills up with water. If soil is absorbent, it will receive and retain a lot of water in a storm. Non-absorbent or non-permeable materials like concrete prevent water from soaking in, so it runs off and can cause flooding after a storm with more water than usual. To adapt is to adjust to changing circumstances. Amphibious means adapted to survive or function on land AND in the water. Architects design buildings. Architectural plans need to consider all the factors needed for the building’s strength and durability, its uses, its energy efficiency and cost, as well as its beauty. Drainage is the removal of excess water. When a city has good drainage, that means that water will be absorbed into the soil and/or or drain away quickly after a storm rather than backing up and flooding easily when more rain falls. Dams usually stop a large part of the flow of a river, storing it in a reservoir until the water is needed, and releasing it slowly to prevent flooding. Dikes or seawalls prevent the sea from flooding a land area. 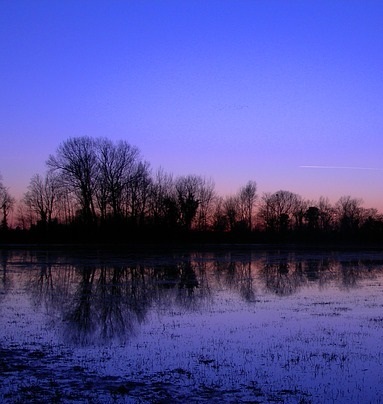 Levees are designed to hold a river back from flooding the land when it is enlarged after a storm. The next newsletter will be the first week of January, since almost everyone is extra busy in late December. Happy holidays!